Progres Niederkorn weren't even Luxembourg's best team. The part timers were fourth in their domestic league last year. And they only went and knocked Rangers out of the Europa League at the first hurdle. The worst result ever for a Scottish club in Europe? I suppose Celtic lost in Gibraltar last summer, but Brendan Rodgers' side were convincing winners over two legs. And whilst others have been embarrassed in the past, none have spent several million quid on players in the preceding few weeks. 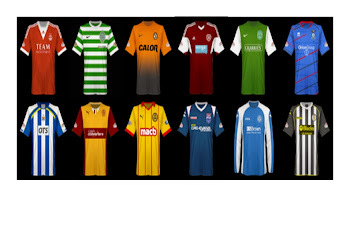 And none have been knocked out by a team that would probably rival Brechin City for quality. Rangers' abject humiliation causes them all sorts of problems, just one of which is the lack of any organised matches before the start of the Premiership season. So confident were they of progression through at least two rounds of continental competition that they had eschewed any preseason friendlies. That at least provides time to assess the situation, and what a situation it is. My first thought after the match was of the "Dead man walking" scene from The Green Mile. Perhaps that's too harsh on Pedro Caixinha, but the credibility of the Portuguese coach has taken an almighty blow here. It's not as if he enjoyed unanimous support from Rangers fans as it it was. Results and performances at the back end of last season were hardly impressive; add in the natural suspicion that most British football supporters seem to have of intelligent, well-spoken foreign coaches who are more interested in tactics than making sure their players are getting stuck in, and you have a manager who has just about zero margin for error between now and the first Old Firm game in September. But Rangers have invested heavily in Caixinha. Very heavily. When Dave King claimed that this year's season ticket money was going back into the squad, I scoffed - that's what happens at all football clubs! But what King actually meant was that it was going to be spunked on new players - nine new arrivals costing more than £10million in transfer fees and a fair bit extra in wages and signing on fees. That might well have absorbed every last penny obtained from those 40,000-plus season tickets sold. In fact, King subsequently suggested that directors had been providing loans to help finance the shopping spree. Oh, and don't forget too that the club paid £300,000 in compensation for Caixinha in the first place. And those nine players - with the exception maybe of Ryan Jack and Graham Dorrans - have Caixinha's fingerprints all over them; a mixture of Portuguese and Latin American players well versed in the style he wants Rangers to play. That in itself was a risky move - it's somewhat cliched to question how these guys might manage on a December afternoon in Dingwall, but not entirely irrelevant - and if Caixinha was punted, what becomes of these expensive signings? Meanwhile, we know from their previous accounts that Rangers required loans from shareholders just to get through last season, were taking. If King's claims that loans were used to fund the new signings is true, then that is obviously hugely concerning. And King's ongoing dispute with the Takeover Panel will of course mean that external investment is rather difficult to come by. Where will new income come from? Well, it won't be from the Europa League. Whilst Joey Barton and Joe Garner are no longer on the wage bill, it seems very likely that it is no lower than it was last year, especially with several unwanted faces still stinking up the place. If the likes of Rob Kiernan, Harry Forrester and Michael O'Halloran choose to sit in the stands whilst collecting their large pay packets and gamble on a new manager appreciating them, then that's another significant drain on resources that are surely more meagre than is being publicized. Oh aye, and there's no evidence as of yet that Rangers have made the necessary leap to overhaul Aberdeen, let alone get significantly closer to Celtic. So here is the conundrum. Rangers probably can't afford to dismiss Pedro Caixinha. And yet they probably can't afford not to.